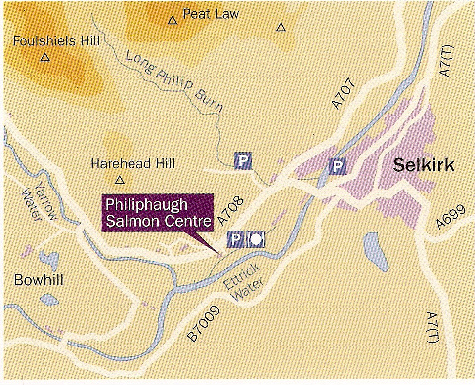 The Philiphaugh Salmon Viewing Centre is 1 mile of out Selkirk on the A708, Selkirk to Moffat Road. There are signs on the road directing you to the Viewing Centre and the Waterwheel Restaurant. See the map below to find us. Copyright © 2016 Philiphaugh Estates Ltd.